SGVMC is a Baby-Friendly Hospital! 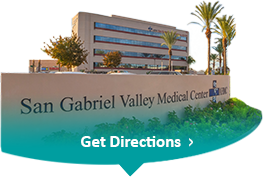 At San Gabriel Valley Medical Center, physicians and employees are focused on providing compassionate, high quality care to promote wellness, restore health, and improve the quality of life of our patients. We are privileged to be the hospital of choice for generations of families who entrust their care to us. With over 500 outstanding physicians and 1,000 dedicated employees, we have the experience and expertise to deliver world-class care in a comfortable, healing environment.